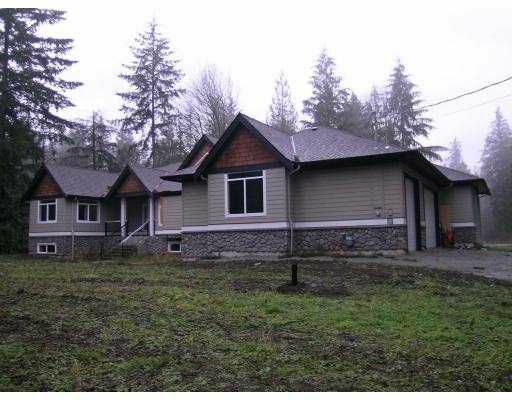 Fantastic custom built rancher on 5 prime river front acres only mins to town. Great potential zoned RS-2 w/ sewer on street & connected to home. This home boasts all the modern conveniences, gourmet kit, stainless appls, gas stove, granite countertops & pantry. Special order H/W floor throughout main living area & tile in kit. The master bdrm feats gas F/P & fully wired for internet/cable/telephone & no expense was spared in the ensuite with jetted tub, L/S water system dble sinks, & a huge WI closet. Guest bdrm has full bath. The great rm is spacious & overlooks property & accesses lge covered deck. Great for summer entert or for watching the deer wandering through the property. Need more room the full unfinished bsmt has lots of potential or the 3 bay gar w/ 1 bay 32' plus long could be ideal for boat of shop, or the old home: 1231 sf. Relocated on new foundation has great potential for studio, shop or perhaps an extended fam - It needs lots of work but has a lot of character. Loads of rm for R.V. 's.